Busy week, busy is good, been a busy year so far. This week we have another First Thursday evening down Vyner Street at Cultivate and all that that involves both in terms of my own work and the hanging, curating and the general running of the still time-consuming beast that is Cultivate (even in the evolved state you know find it in) I say “this week we have”, it should read “had” – no time for blogs and websites when there’s things to paint and art spaces to fight for and shows to put – Friday now, this blog entry started life before First Thursday has been and gone again (thanks to everyone who came along, thanks to those who bought pieces, I can eat today, thank you). Well I say “Friday now”, that was last week, this blog has not been attended to in a couple of weeks. Cultivate has eaten up far too much time for something like two and a half years now Actually no, the adventure of the space has been worth almost every minute of both trying to build a community of artists and interacting with the local community and the people of Hackney and Bethnal Green. I’m not a native of these parts, I have been living in various parts of East and West London for the last twenty years or more now, I don’t consider myself a local but I do feel that if I choose to live here then I should at least attempt to contribute to the community I have chosen to be part of for the last twenty or more years, rather than just coming in and taking over, which seems to be the way in East London now. 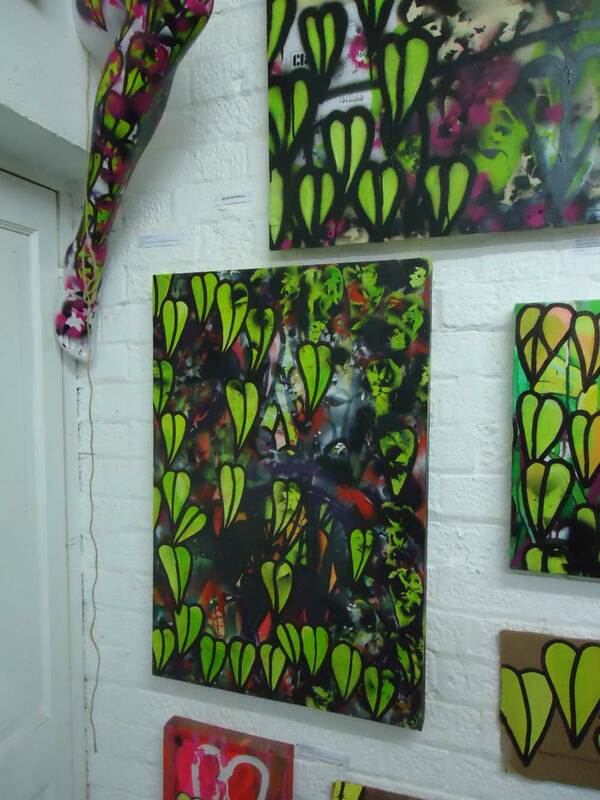 There’s a certain pleasure in having an open-door (artist-run) gallery type art space, a place smack bang in the middle of an East End street, a room that everyone hopefully feels comfortable coming in to. We have great chats about the art on the walls, about the things going on in the lives of the pensioner who was once a foot model in the 50′s “when it was really different around here and the twins looked after things” or the delivery driver, or the big Rasta who puts his head through the door when he passes and gives us a clench fist salute and yells a deep “Cultivate!” at us, we like it when the passing drivers on the way to the bus station up the road drop in as much as we like those who clutch their art maps and their guide books, or the local kids who say their scared to knock on the doors of the big galleries, I could go on, there really is a pleasure in making art spaces accessible without having to “dumb it down”, a thrill in actually having the people come in and respond in a positive way – a better space for everyone, a better Woolworths maybe? It can be full of meaning, it can be full of challenge, it can be alive with depth, it doesn’t have to alienate and exclude. something for anyone and everyone… . .
What has been going on this last couple of weeks then? 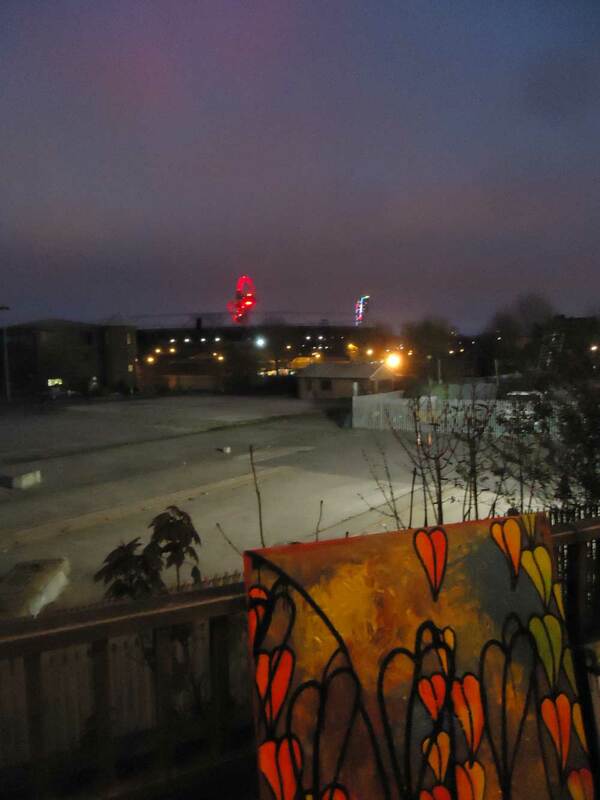 Last Saturday was spent at the HACKNEY WICK TAKE BACK over at Swan Wharf, Fish Island – an all day DIY art show that was mostly about artists coming together and making something good happen. 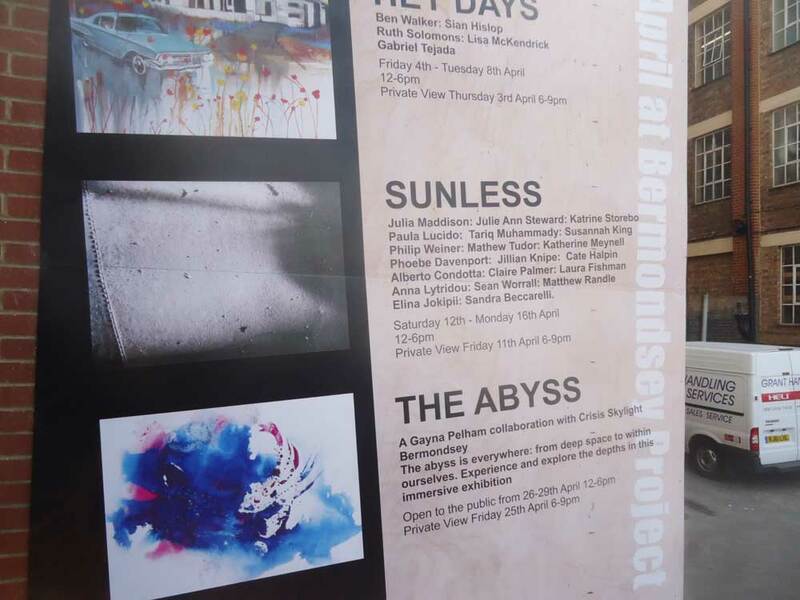 “A nearly spontaneous one day all day DIY art event at SWAN WHARF, – Saturday April 5th” Here’s some of the information that went up on the Organ pages ahead of the event. I had four pieces up on the wall, the photos from the day are here. Here’s a selection of photos from the last couple of busy weeks…. click on the thumbnails to enlarge… I got to go paint…..